Why don't more British breweries make a Cream Ale? Cream Ales are an intriguing style. An American invention, they are usually lower in bitterness and use less hops than a pale ale, aiming more for the drinkable and bittersweet end of the scale. It's not a style I've tried many examples of, but I can certainly attest to the quality of Sweet Action, a Cream Ale by Sixpoint brewery of Brooklyn, which became a favourite when in New York last summer. It's a smooth, balanced beer brewed with a session in mind, unlike the hop bombs the yanks are known for, and after pale ale after IPA after hoppy porter it came as a breath of fresh air. 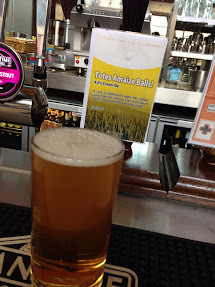 So that's what I was hoping for from Totes Amaizeballs - I still cringe while writing that name - a Cream Ale brewed with a complex mix of Pale, Pils, and Vienna malts as well as oats and flaked maize. This is my kind of beer, where malt and hops are given equal billing and the result is a symphony not a solo. My tasting notes are sparse as I was too busy enjoying it to think about documenting - which is always a good sign. But it does leave me wondering why more breweries don't give this style a go? I drank this beer at Brew Wharf on Borough Market (they brew the beer on site) so that's your best bet at trying some, though you might have to ask when it will next be on as the beer rotates very quickly. Because it's an obscure beer style only likely to appeal to a handful of beer geeks, perhaps? I think you're confusing mass availability with mass appeal. The two are very different. A fair point Steve. But they are all a bit old hack aren't they now? 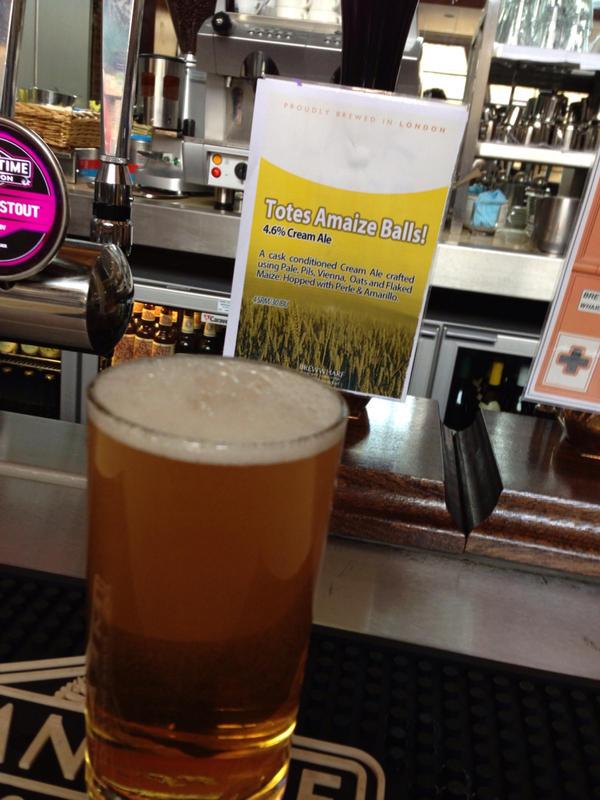 I drank a Summer Lightning on cask the other day and was shocked by the blandness of it. My point isnt that Cream Ale is the next big thing, just that I'm suprised there are so few examples out there as they can be stunning. There are hundreds of black IPAs and just one cream ale? Despite it being so popular in the US? Seems surprising, to me at least. The argument I've seen, by fellow Americans, is that it's basically an improved version of many light beers on the market today. 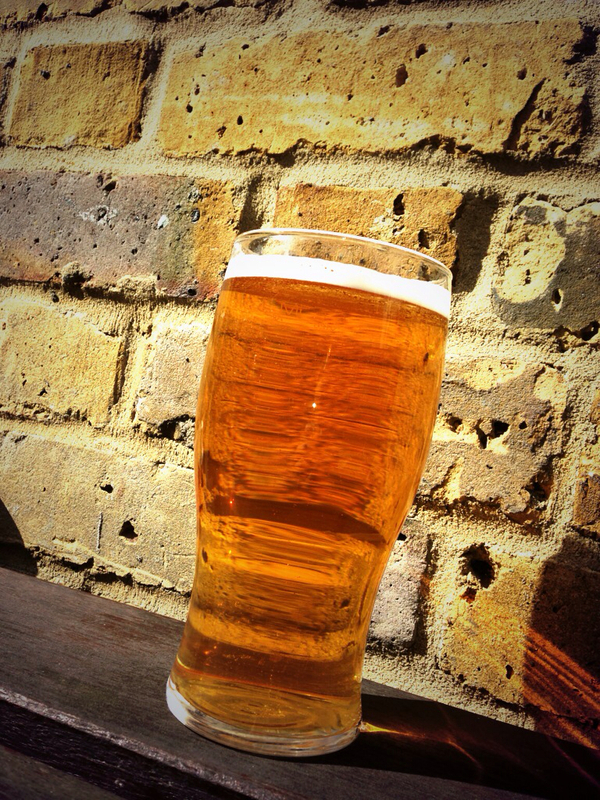 The craft beer crowd isn't interested; they find it "boring". Outside of a few names in the Northeast, it pretty much disappeared after prohibition. I'm sure the UK and its tradition of brewing also plays a part. Shame. Even if its not groundbreaking like some styles, it's a part of our heritage, and I wish there were more examples of cream ales and steam beers/California commons. Again, a lot of folk say other styles make it redundant, but if the Germans have their dozens of varieties of lagers, or the Belgians and their Trappist ales, I don't see why we shouldn't, too!